Inflammation is associated with so many ailments that plague our society. Some diseases such as diabetes, asthma, blood pressure, and heart disease are known to cause inflammation. Long-term lifestyle changes could help alleviate inflammation. You can prevent inflammation by adding anti-inflammatory oils, foods, and herbs to your diet. Some of these foods can actually help to cure the ailments. Inflammation is not fundamentally a bad thing but is actually an effective immune response that helps the body to function. It is especially helpful when the body is injured and is trying to heal itself. However, in some instances, the immune system overreacts and causes an inflammatory-type reaction in healthy parts of the body. An anti-inflammatory diet is primarily composed of fruits and vegetables with an abundance of omega-3 foods. Most anti-inflammatory foods contain minerals, antioxidants, and essential fatty acids. Anti-inflammatory drinks and foods can regulate the immune system thus managing inflammation. 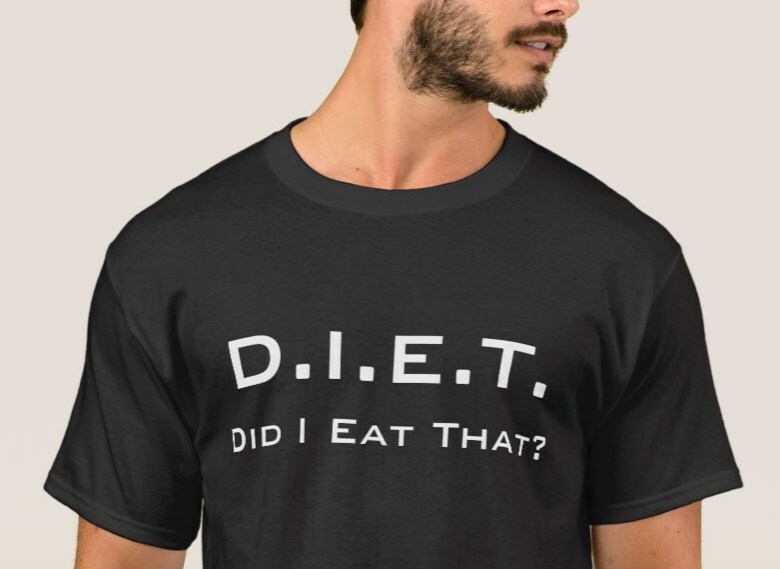 Changing your diet can be difficult but you can, however, start off gradually until your body adapts to the new diet. This allows your body to repair itself without making any drastic changes. Here are some anti-inflammatory oils, herbs, and foods you should include in your diet if you are dealing with chronic inflammation. This legendary herb is native to Japan and is also known as the longevity herb. It is mostly used for medicinal purposes as it is known to have antioxidant and anti-inflammatory properties. The leaves can be consumed as food or juiced. The herb is rich in calcium, magnesium, potassium, beta-carotene, and antioxidants. The leaves are considered to be beneficial in reducing gastroesophageal reflux and peptic ulcers as they help to lessen stomach secretions. Ashitaba has been used for a long time as a plant helping to reduce blood sugar. Compounds contained in Ashitaba help to tame blood sugar levels. 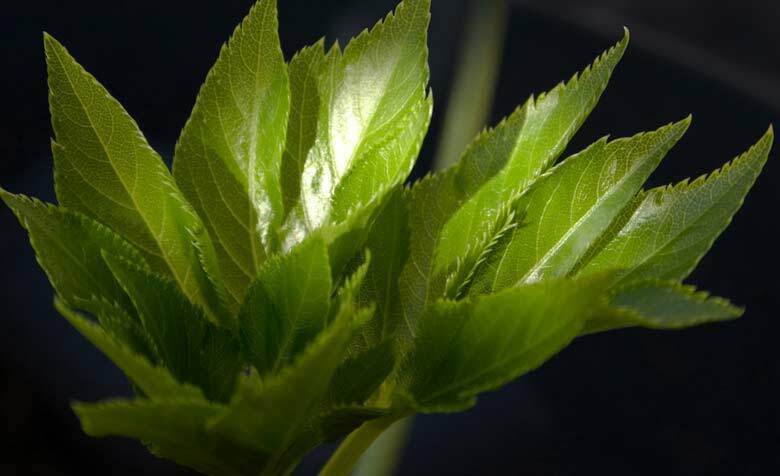 Diabetes causes inflammation thus this plant can be incredibly helpful to diabetic patients. The plant also exhibits anti-cancerous effects, so it can be used to alleviate inflammation associated with cancer. If you are looking to manage your cholesterol levels, you might want to start consuming Ashitaba. The plant increases the production of ‘good’ cholesterol thus curbing the production of triglycerides. Ashitaba anti-inflammatory tea is the easiest way to add this amazing herb to your inflammation-fighting diet. Check out your local oriental grocery stores or search Amazon and eBay for “Ashitaba Tea” or “Ashitaba Powder“. You may add powdered Ashitaba leaves to any of the popular anti-inflammatory smoothie recipes. Experiment with the dose not to make it too bitter. Naturally, don’t expect overnight miracles from drinking just a few cups of Ashitaba tea or, in fact, any anti-inflammatory tea. 3 cups a day is the bare minimum and you’ll need several weeks or even months to see results. Read more about Ashitaba’s scientific studies here. Another incredible anti-inflammatory food is black cumin (Nigella sativa). In different countries, this plant is known under the following names: black seed, black caraway, black sesame, kalonji, and onion seed. Thymoquinone and thymohydroquinone which are phytochemical components of black cumin are important for fighting cancerous cells. Black cumin could help alleviate inflammation that is caused by cancer. Black seed is also known to improve glucose tolerance thus helping to prevent type 1 and 2 diabetes. Black cumin seed oil can help maintain the balance of an aging immune system thus preventing inflammatory conditions such as heart disease and arthritis. It is considered to be one of the most powerful anti-inflammatory oils available. Chronic inflammation may cause cells to mutate and become cancerous. Preventing chronic inflammation is key to preventing cancer. Add cumin oil to salads or consider adding a few teaspoons to your morning smoothie. Using organic anti-inflammatory oils for frying is not beneficial since heat destroys most of its healing properties. In India and Middle Eastern countries, a lot of women and men as well use kalonji oil for hair growth and conditioning. The use of kalonji oil and spices is significantly more widespread in that part of the World. For over 2000 years cumin has been used for treating psoriasis, dry skin, eczema, and dandruff. Internal Kalonji oil treatments also benefit people with asthma, digestive disorders, arthritis, and weak immune systems. It is often called the cure for all diseases. Omega-3 fatty acids are among the best anti-inflammatory agents. These kinds of fatty acids can be found in tuna, salmon, mackerel, and other fatty fish. Omega-3 boosts leukocytes and cytokines which are vital for the body’s anti-inflammatory response. 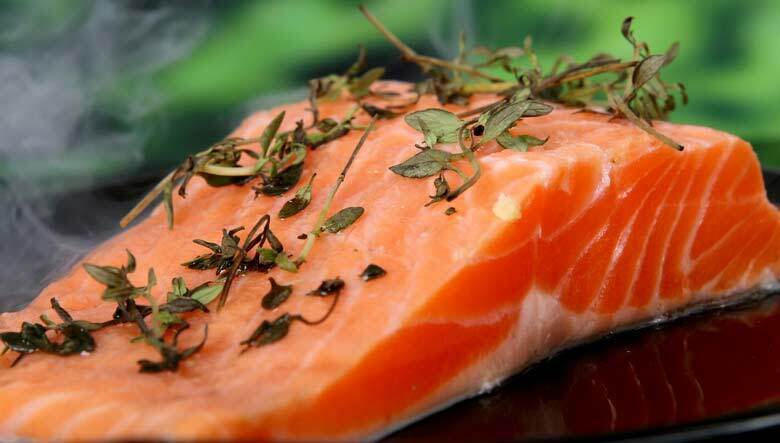 Research indicates that those who eat food rich in omega-3s are less likely to contract rheumatoid arthritis. For those with arthritis, eating omega-3-rich diet can help alleviate joint swelling. Remember, that not only fish meat but also fish skin contains a lot of anti-inflammatory oils. Check out some French and Italian traditional recipes of fish soups in addition to more common fried & baked fish dishes. Turmeric is a bright yellow spice that is often used in cooking. It is common in Indian cuisine. Turmeric contains an antioxidant known as curcumin which is known to reduce inflammation. Turmeric is particularly helpful in diminishing swelling associated with arthritis and slowing the growth of cancerous cells. 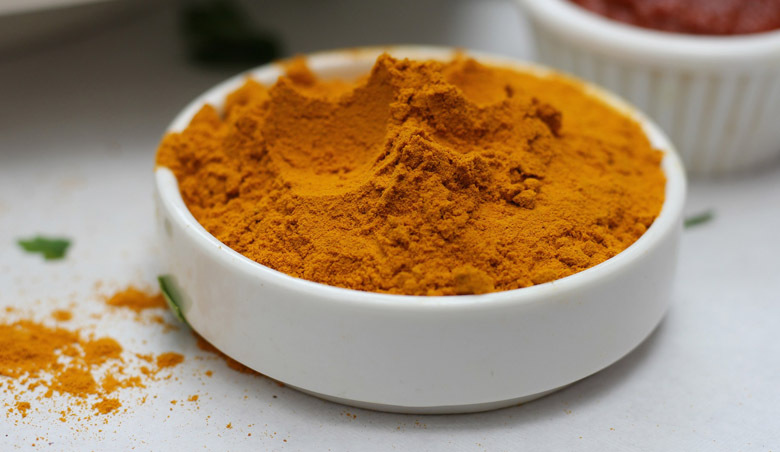 Instead of just adding it to food, turmeric could be taken in tea and supplements. There are plenty of very nice anti-inflammatory tea recipes with turmeric, ginger, honey, and other ingredients. Taking shiitake mushrooms could help boost your immune system thus preventing chronic inflammation. Shiitake mushrooms provide essential vitamins and nutrients which are essential for a strong immune system. Discovered many centuries ago, Shiitake mushrooms have been a staple of ancient Japanese medicine praised for their health-boosting properties. 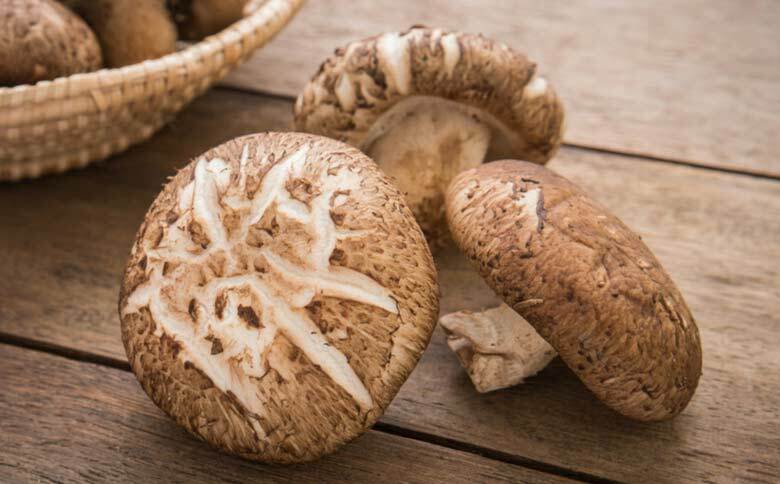 Ironically, shiitake mushrooms being wild-grown fungi contain strong compounds naturally suppressing inflammation, tumors, “bad” bacteria, harmful viruses, and even fungus. A note of caution: as demand for shiitake mushrooms have been rising, they are sometimes mass-cultivated on saw-dust blocks with heavy use of pesticides, so make sure to check your labels and opt for ‘certified organic’ if you are buying them at the grocery store. There are also a number of ‘grow at home’ kits provided by innovative companies, focused on organic living. 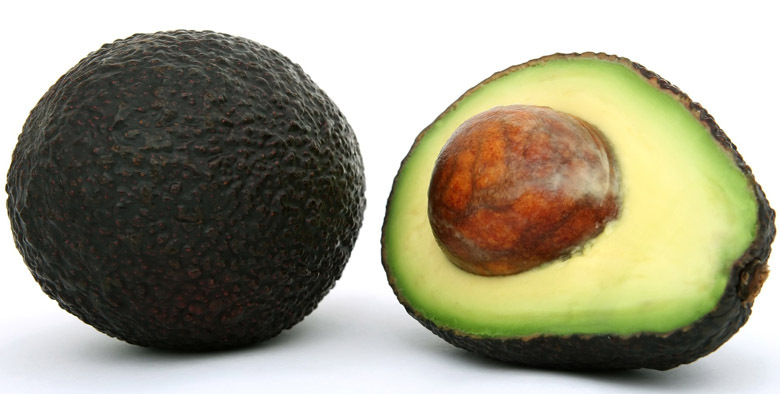 Avocado is one of the most nutrition-packed foods on the planet. It has numerous antioxidants and vitamins which make it a useful anti-inflammatory staple for many tasty recipes including salads, smoothies, and salsa. Avocado has carotenoids which help to fight inflammation and boost natural immunity. The flavonoids and polyphenols contained in avocado support prevention of common inflammatory disorders. Avocado oil is one of the best anti-inflammatory oils that are widely available in the US. It is better for frying than olive oil, for example, because it can withstand higher temperatures. Just make sure not overheat it. In France, a combination of avocado and soybean oil extracts has received a prescription drug status. In Denmark, this extract combination is marketed as a food supplement for its anti-inflammatory effects and its ability to stimulate cartilage re-growth. 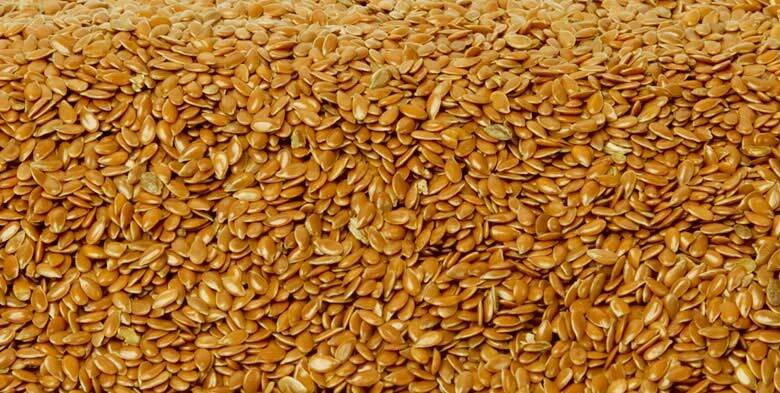 Just like fatty acids, flaxseeds are rich in omega-3 making them perfect anti-inflammatory food. They also increase the level of HDL cholesterol and reduce triglycerides thus playing a major role in preventing cardiovascular complications. For people with seafood allergy, this is a great alternative. Why are we talking about specifically FRESHLY-GROUND flaxseeds? Because anti-inflammatory oils in ground flaxseeds oxidize and lose their potency within 15-20 minutes. It means that all those sealed packages of pre-ground flaxseeds that all health stores carry are completely useless. Keep in mind that seeds are often first fried and then ground, so you are basically buying a bag of flaxseed fiber with all the good stuff eliminated by heat and oxidation. So consider DIY – ground your own flaxseeds just before adding them to your food. Flaxseed oil in bottles would be a good choice for adding to your diet. Just keep in mind that once you open the bottle of flaxseed oil it should be consumed quickly or the oil will get rancid. Many people prefer having both: freshly ground flaxseeds and flaxseed oil. Some, for example, add 2-3 teaspoons of freshly- ground seed to their breakfast recipes. They can be a nice addition to a number of your anti-inflammatory smoothie recipes, or you may add them to your DIY almond flour pancake mix. 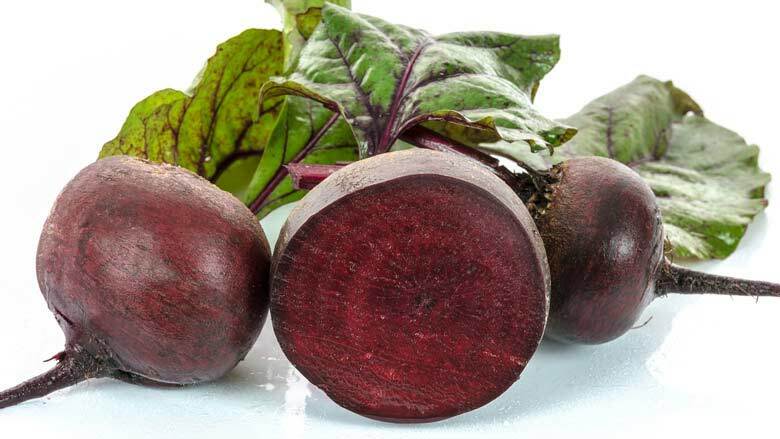 Eating beets can improve your body’s ability to fight chronic inflammation. Compounds contained in beets have been shown to hinder the production of cyclo-oxygenase enzymes which the body uses to set off inflammation. The anti-oxidants present in beets may also help to prevent cancer so it perfect ingredient for those treating food as medicine. For younger generations eating cooked or fermented beets may not sound appetizing at all. A better alternative for them would be adding a small amount of freshly-squeezed beet juice to some common fresh juices. A mix of carrot and beet juice is not only an excellent anti-inflammatory drink but also a powerful detox remedy. Ginger is one of the most popular medicinal foods. 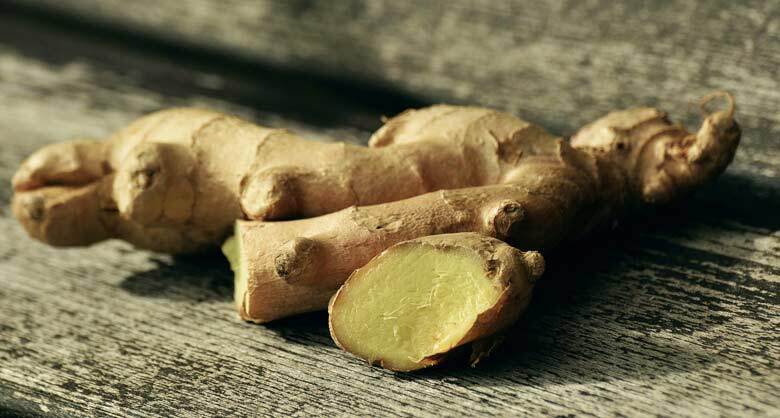 Its main component, gingerol, is responsible for most of its anti-oxidant and anti-inflammatory properties. Ginger essential oil is becoming more popular nowadays. Although not a food by itself, ginger essential oil can be added to meals in small quantities (1-2 drops per dish). This oil contains a component called Zingibain, which is responsible for its powerful anti-inflammatory properties. Zingibain provides pain relief, helps with arthritis, muscle aches, migraines, and works as a headache remedy. To make life easier, some people just add a few drops of Ginger essential oil to a bottle of any other oil they use for dish dressing. This way any good oil in your pantry becomes an excellent anti-inflammatory remedy. Natural chocolate is derived from Theobroma cacao. Raw organic cacao contains a host of phytonutrients including magnesium, sulfur, and phenylethylamine. If you are looking for an excellent antioxidant, this is your best bet. 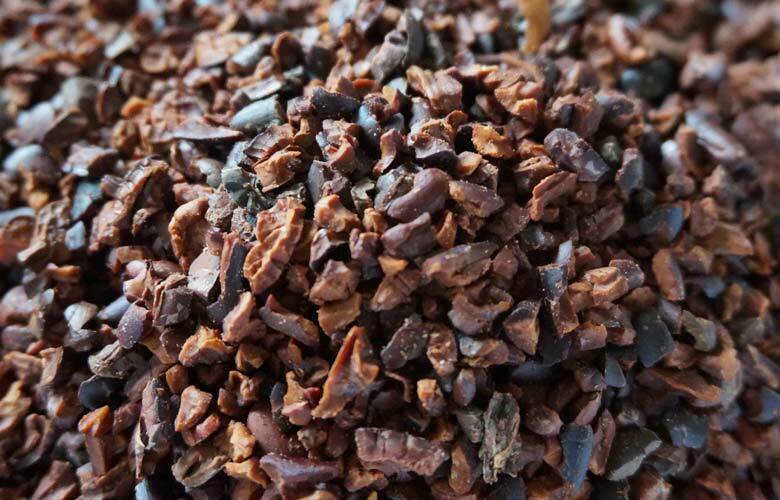 But what makes cacao nibs a great superfood is the flavonoids in this super-food. The antioxidants in the cacao nibs absorb free radicals thus helping to prevent many debilitating diseases. Cacao is also beneficial in regulating hormones, blood pressure, insulin resistance, energy levels, and improving vascular and platelet functioning. Why should you choose Cacao Nibs and not Cacao powder or store-bought dark chocolate? Because neither cacao powder or its derivative chocolate has the main component responsible for fighting inflammation. What’s missing in both is cacao butter. Check out this great recipe with cacao nibs and dates (no added sugar) for energy balls – a great alternative to other common energy-boosters that are not beneficial to your wellness. All bone broths, be it chicken, beef, or fish, are a staple food in most cultures. Collagen and numerous minerals found in bone broth are easily absorbed by the body as they are in liquid form. Bone broth is not only rich in flavor but also supports healing of the gut and body. Some of the common leaky gut symptoms may include bloating, gas, food sensitivities, lack of energy, headaches, and skin problems. If you suffer from leaky gut symptoms you should consider the bone-broth-based diet for natural healing. Soups made on bone broth are rich in glucosamine and chondroitin and may alleviate inflammation and relieve joint pain. In actuality, the nightshade family, to which potatoes belong, are a pretty toxic bunch. We can only tolerate them because we cook them well (raw foodists beware). This family also includes tomato, chilli, eggplant (aubergine), peppers and, of course, deadly nightshade or belladonna, a deadly poison found its berries.